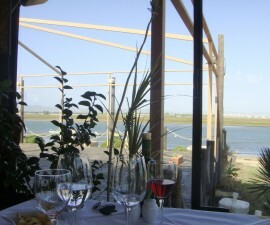 Faz Gostos Restaurant has become a national favourite in Portugal, yet it has not forgotten its roots in Olhão, east of Faro and nestled in the protected area of the Ria Formosa Natural Park. The restaurant became something of an overnight success, courting unprecedented attention of the national and international media for its modern interpretation of the Portuguese barbecue. The restaurant was forced to move after two years to Castro Marim in order to acquire more space and again in 2009 when it found its new, permanent home in the Vila Adentro, right in the heart of the historical Old Town of Faro. Since the restaurant first opened, chef Duval Pestana has become one of Portugal’s most celebrated cooks and his reputation, along with that of the Faz Gostos Restaurant in Faro, have led him to open another highly successful branch in Lisbon, known as Fax Gostos LX. Duval’s approach is to take traditional dishes from all over Portugal and transform them into masterpieces deserving of twenty-first century accolades. 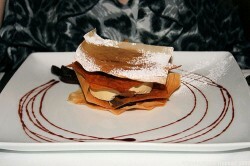 It is hard to pick stand out dishes from a menu in which just about everything is a stand out dish – this perhaps is the reason that diners return time and time again, to ensure they have worked their way through the entire menu before it changes and they find themselves started all over again. 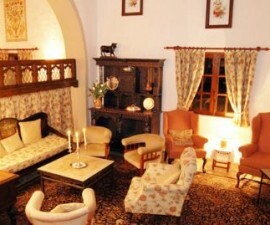 House specialities are the flambéed and game dishes, with flambéed shrimp prepared at the table and Iberian port stuffed with game sausage proving a melt-in-the-mouth concoction. Other recommendations include rack of lamb with partridge, foie gras with pears in red wine, tomatoes and eggs with portk crackling, locally caught sagres grouper with mashed beetroot and rack of lamb crepe suzette. Beneath the restaurant is a large wine cellar packed full of selections from all over the country and a number of reserves of all nationalities dating back several decades. The waiting staff are friendly, lively and attentive and the crowd is a pleasant mix of locals, tourists and disciples who have travelled from far afield to sample the delights of this increasingly famous restaurant. 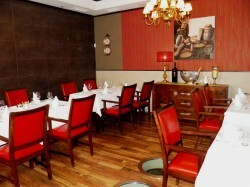 Foz Gostos Restaurant is well located on the Rua do Castelo near the Municipal Museum and despite its city centre position parking is straightforward for those arriving by car. 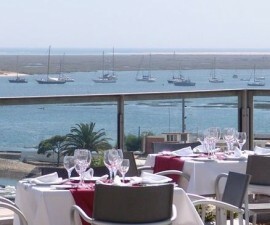 This is the perfect location to complete a busy day on the golf course or exploring the beautiful beaches of the Algarve, before stepping out to wander through the winding streets of the Old Town and enjoy a nightcap in a local bar or café before returning to your Faro hotel to sleep off the excesses of your indulgence.